On Friday 18th December, Compass Associates held their annual Christmas Conference at the Langstone Hotel, Hayling Island. Congratulations to the winners at the CMM 3rd Sector Care Awards! 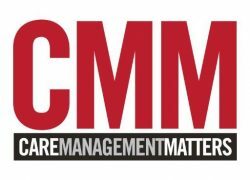 On Wednesday 9th December, Compass Associates were delighted to attend and sponsor Leadership Award category at the CMM 3rd Sector Care Awards at the London Marriott Hotel. Following the great success of our Office Olympics themed charity day in September, we decided for our Quarter 3 charity day on Friday 4th December, to revisit the theme with a Winter twist! For our final charity day of the year, our Manchester office chose for us to support Francis House Hospice.